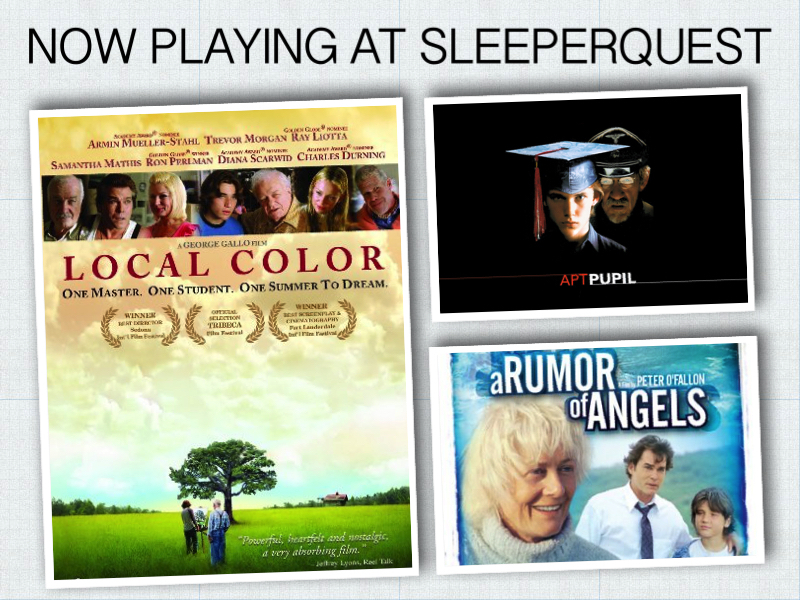 Local Color was added to SleeperQuest favorites from 2006. A talented but troubled 18-year-old aspiring artist befriends a brilliant elderly alcoholic painter who has turned his back on not only art but life. If you don’t believe in the existence of evil, you’ve got a lot to learn. An accident broght them together. This entry was posted in 2006, Local Color and tagged 2006, Local Color. Bookmark the permalink.